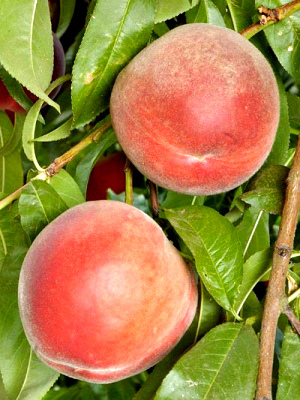 Sweetest peach of it's season - mid June. Very juicy and sweet with fine flavor. Medium to large size. Attractive, red skin. Self-fruitful.